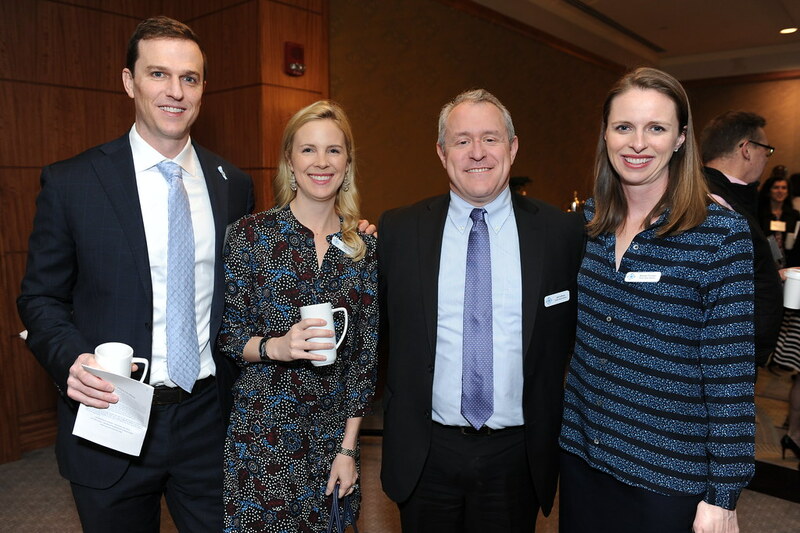 Tuesday morning at the Mandarin Oriental in Boston, nearly 150 Room to Grow supporters came together a few days prior to Mother’s Day to celebrate mothers and their efforts to strengthen our community and create hope for bright futures. Attendees donated generously knowing that Room to Grow’s model works: 9 out of 10 babies in the program meet their developmental milestones on time, a nearly 20% increase over their low-income peers. 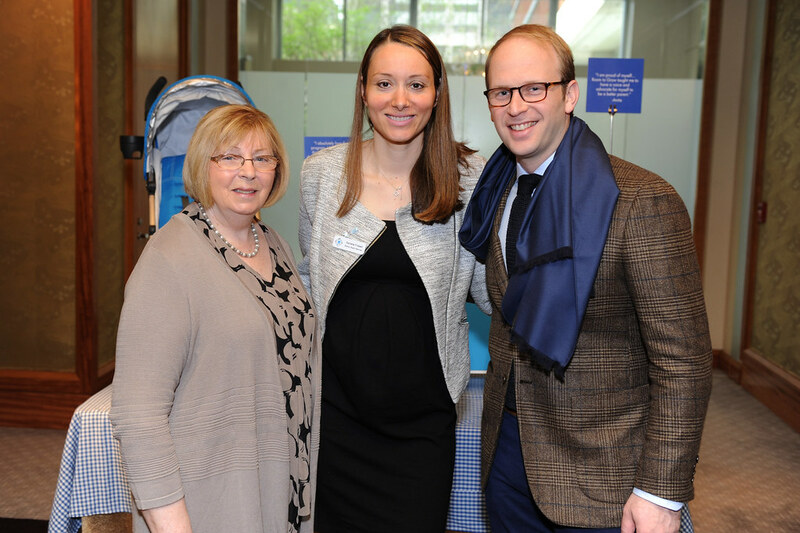 With efforts underway for Room to Grow to double its impact in Boston over the next two years and expand to serve 600 families annually, the funds raised will help even more low-income families give their babies a strong, healthy and secure start. 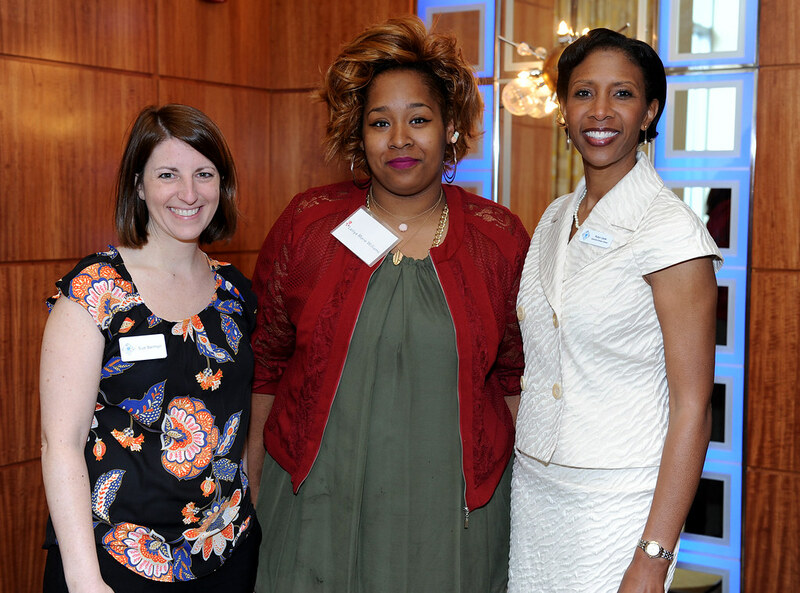 Laniya Marie Williams, a mother who recently graduated from the program was honored at the event and spoke about her experience at Room to Grow. Following turbulent teenage years, she found herself at 21 homeless, pregnant, and alone with no parenting role models. Three years after entering Room to Grow’s program, she shared, “To me, Room to Grow represents safety and consistency… Through this experience, I learned I am stronger than I ever thought I was.” Laniya’s 3 year old daughter is thriving and is developmentally on track, ready to succeed in school and beyond. Special guests participated in a panel discussion, moderated by Jenna Pelletier, Food Editor of Boston magazine, on healthy eating and access to healthy food choices, a topic low-income families struggle with as underserved neighborhoods are too often food deserts, with limited access to full-service grocery stores. 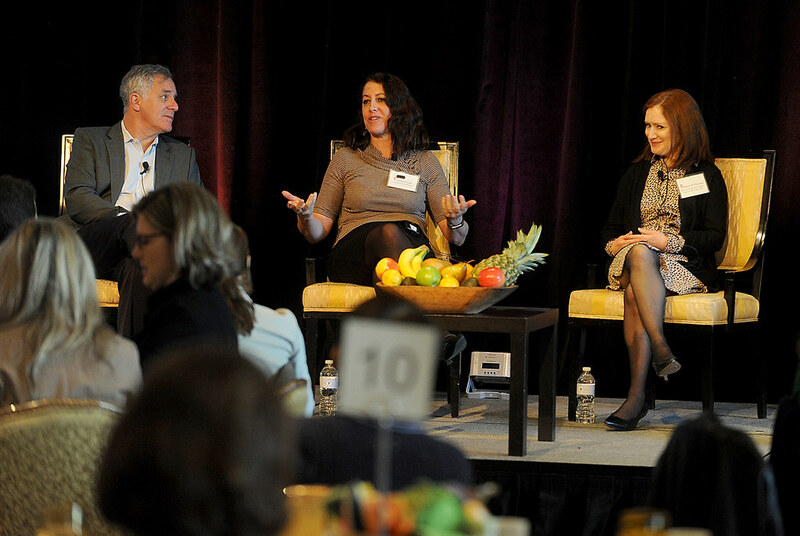 Gary Hirshberg, Chairman of Stonyfield Farm shared his perspective on the importance of healthy eating on long term wellbeing. “Food is really preventative healthcare”. Cheryl Cronin, CEO of Boston Public Market and Maura McNamara, Wellness Consultant at Blue Cross Blue Shield of Massachusetts agreed, noting that healthy eating in childhood fosters brain development that results in healthier adults. 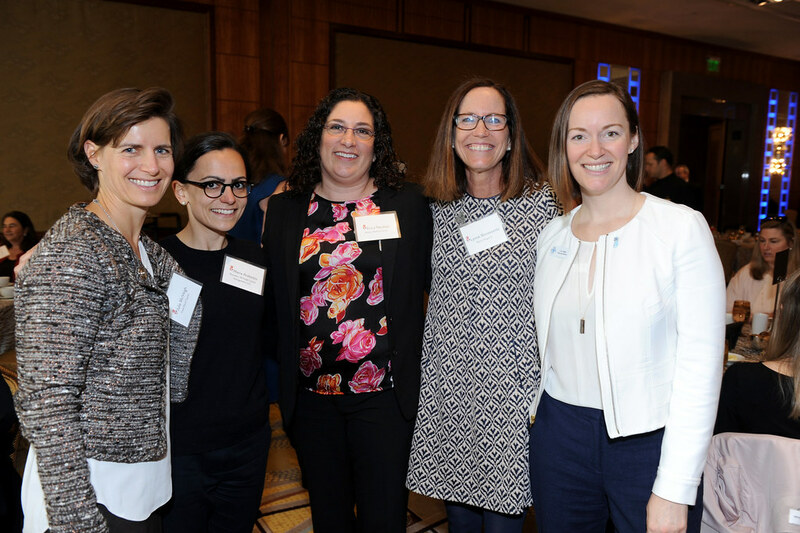 Robyn Carter, Executive Director, expressed her gratitude to donors whose contributions will enable the organization to double its impact in Boston over the next two years. Robyn also thanked the people and organizations who helped make the celebratory breakfast possible including In-kind Sponsor UPPAbaby, and event Leadership Council members Beth and James Athanasoulas of Concord, Danielle Frissell and Adam Slutsky of Boston, Annie Hildreth and Ted Potters of Weston, Giselle and Casey Nelson of Wellesley, Laura Tomasetti and David Beardsley of Boston, and C.A. Webb and Michael Davies of Cambridge. Room to Grow is focused on ensuring babies born into poverty have everything they need to learn, grow and succeed in life. The comprehensive program provides families with a unique combination of one-on-one parenting education, referrals to other community services as well as all the clothes, toys, books and gear their babies need at every stage during their first three years of development. Room to Grow is unlike any other program in Boston. Families participating in the three-year program visit Room to Grow’s warm and inviting space every three months for two-hour visits with a dedicated social worker focused on their family’s individual needs and challenges. By focusing on the babies as well as their parents, Room to Grow’s high-touch program has a meaningful and sustained impact. 9 out of 10 babies who complete the program meet all developmental milestones on time and finish the program ready for school. For more information, visit www.roomtogrow.org.